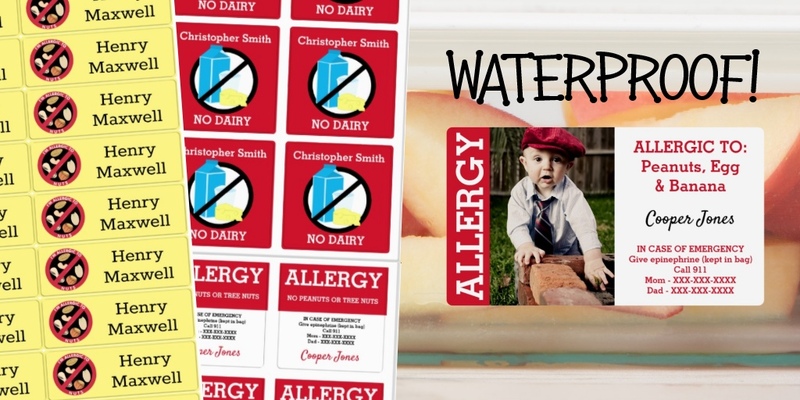 Shop our online store through Zazzle to choose a customized allergy alert lunchbox. 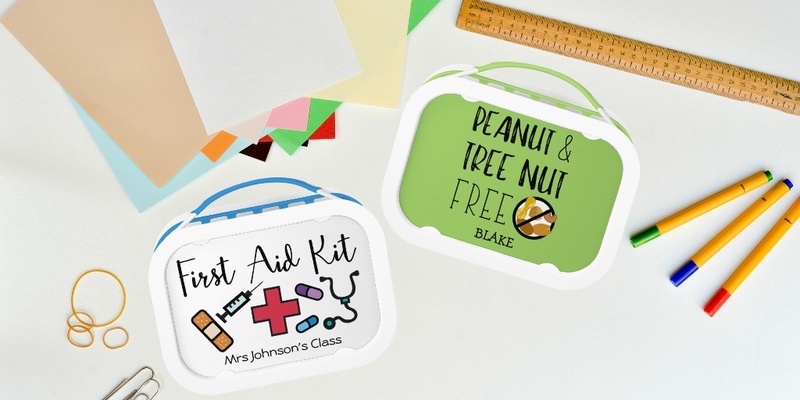 Lunchboxes can be personalized with a name, alert to specific food allergens or help locate epinephrine or other medicine. They are ideal for storing safe snacks, bringing to school or daycare or toting around medicine. 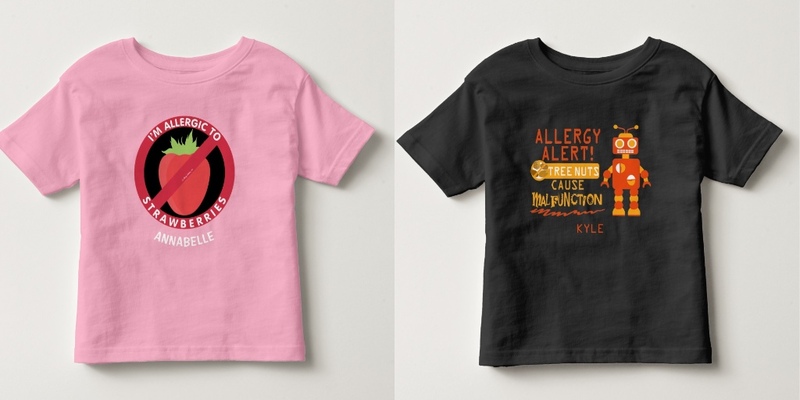 New designs with just personalization (no allergen info) recently added! Dimensions are 9.8″ x 6.9″ (3.5″ deep). Designs are printed on the front and back of the changeable faceplates which are waterproof and tear-proof. Additional faceplates can be ordered separately if you want to change the look. 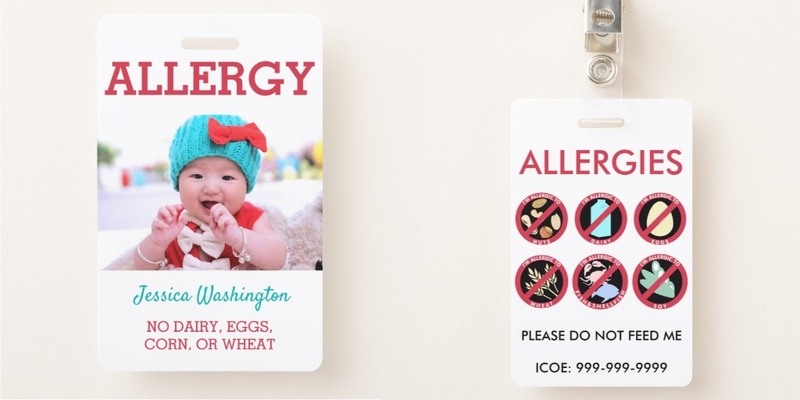 Choose from six color options of the handle and sides and a variety of kid-friendly allergy alert designs. Each personalized allergy alert lunchbox is BPA-free, phthalate-free, and lead-free. They are 100% recyclable, 100% dishwasher safe (excluding faceplates). Each lunchbox includes large (sandwich) container, two small containers, and ice pack.